Do you know where I could purchase a liquid version of sulphur dioxide? Gently removes permanent and semi-permanent hair color. Takes only 20 minutes. 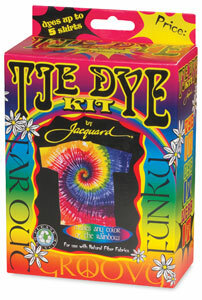 Removes most fiber reactive colors, direct dyes and acid dyes from fabric. Apply with a brush, iron with steam and wash out. Note: as with all textile discharge agents, for safety avoid contact with the eyes and skin and inhalation of the vapors or mists. 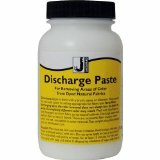 An excellent product for removing dye from fabric or yarn. removers intended for fabric, skin contact may produce irritation and possible skin burns. Pre-existing lung diseases (e.g., bronchitis, emphysema) may be aggravated by inhalation of the dust of this product. Individuals who are sensitive to sulfites may experience hypersensitivity reactions from inhalation, eye or skin contact, or ingestion of this substance. Sulfur dioxide, which exists in the form of a gas, is not a particularly safe chemical. It is not safer than the color removers listed on my page, “What chemicals can be used to remove dye?“. In fact, most of the chemicals listed there react to produce sulfur dioxide. They are much safer than the medieval process of burning sulfur to fumigate fabric with sulfur dioxide fumes; their greater safety is due to their making it possible to lessen the total exposure to sulfur dioxide. The biggest problem with any chemical that produces sulfur dioxide comes from breathing its fumes, which can cause asthma, and can, if the amounts are large enough, damage the lungs even of people who previously had never shown any tendency toward asthma. The way sulfur dioxide and other sulfur-based color removers work is by chemically reducing the double bonds that give dyes and pigments their colors. After a double bond in the dye molecule has been reduced to a single bond, the dye molecule no longer provides color, although it is still present. Some colored substances are very susceptible to reducing agents, while others are resistant and do not show a change when treated with reducing agents. Some change from one color to a surprisingly different color. When removing color from fabric, whether you are using a reducing agent or an oxidative bleach, often you will see “off” colors appear. For example, when removing a dark color, you may end up with tan or orange instead of an absence of color. When dye is applied to hair, the naturally occurring pigment in the hair is frequently intentionally bleached out as part of the process, both to make the added color stand out more, and to make the hair strand itself more amenable to absorbing the dye. As a result, it’s not unlikely that removing hair dye will result in an unexpected color even if the color removing product works perfectly. In addition, not all dye colors are affected equally by any given color removing chemical. There is a commercial product, called Color Oops Hair Color Remover, which is based on the same hydrosulfite that is the active ingredient in Rit Color Remover. Rit Color Remover is an excellent product for removing dye from fabric or yarn, in fact higher in quality than Rit Dyes. I expect that the formulation of Color Oops is much kinder to the skin and hair. Although I have never used this product and cannot evaluate how effective it is, it seems to me that this category of product would be a better choice when there may be skin or hair exposure than the textile-oriented color removers, since it is marketed for the express purpose of applying to the hair. One caveat: sodium hydrosulfite tends to break down when dissolved in water, so you should expect any liquid hydrosulfite product to have a short shelf life; be sure to buy it fresh each time you need it, rather than using an old bottle you’ve had for a while. Dry powdered hydrosulfite will last much longer. There is some useful information in the customer reviews of Color Oops at Amazon.com. Other products promoted for the same purpose include VANISH Color Corrector, L’Oreal ColorZap Haircolor Remover, and One ‘n Only Colorfix, among others. It is harder to find out their active ingredients than it was for Color Oops, so I can only assume that they are similar in composition and safety. VANISH Color Corrector is claimed to “gently reduces the size of the artificial color molecules, allowing the color to be washed away, with no damage to the hair”. While oxidative discharge agents, such as chlorine bleach, which is based on sodium hypochlorite, make color molecules smaller by attacking them and breaking them up, this seems an unlikely mode of action for a product that is claimed to be safe for the skin and hair. Anything that breaks apart dye molecules will probably break apart the proteins in skin and hair, as well. The product probably contains a reducing agent similar to that in Color Oops, which does not change the size of the color molecules, but instead removes their double bonds. 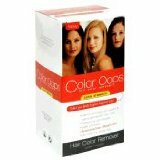 L’Oreal ColorZap Haircolor Remover is described as follows: “ColorZap will not restore hair to its original, natural color. It removes the tint revealing the underlying base from which the natural color has been removed in the haircoloring process.” Although it is supposed to leave the underlying natural color unaffected, if any of it still remains, a customer review claims that it does lighten the original color of the hair, more than Color Oops. This entry was posted in discharge and bleach on August 19, 2014 by pburch.